OnePlus 3 with 5.5-inch 1080p Optic AMOLED display and 6GB RAM launched. 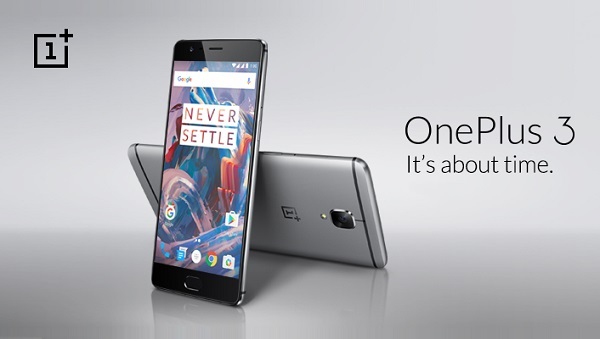 OnePlus today launched the OnePlus 3, its long-awaited flagship smartphone. The new phone features Dash Charge fast charging technology, which adds a day of power in only half an hour. It comes completely unlocked - no carrier contracts necessary, and an unlocked bootloader - to give users maximum flexibility. It is also the first OnePlus smartphone to be available for purchase at launch without an invite on OnePlus's e-commerce site. It is available in two color variants - Graphite and Soft Gold.